Every senior sales leader understands the importance of your sales pipeline. After all, it’s what keeps things running within your team. But not everyone understands how to effectively manage their sales pipeline. By putting the effort in to ensuring your pipeline is well managed maintained, you could see massive boosts in productivity within your sales team. Many pipelines aren’t fully optimised. By having an optimised sales pipeline, you can enhance staff productivity and increase your team’s success as a result. Sales pipeline management is the process of making your pipeline the best it can be to increase business and client relations, as well as maximise productivity for your sales team. Let’s take a look at what you can do to maximise the efficiency of your sales pipeline. Makes sure you’re completely up-to-date and aware of each of your ongoing sales leads at all stages of the marketing funnel. Identify when they were each last contacted. Review your network of contacts to ensure every lead is accounted for. Keep your contact base focused and relevant, making sure to identify every valuable contact and make sure they’re engaged. Keep track of the activities of each of your sales team members to ensure everybody is being proactive. Try to ensure minimal crossover in activities, and that no accounts are left ‘going cold’. Identify how far along each of your accounts is in your sales process. This allows you to prioritise and create a more accurate forecast. Make sure you understand your sales team’s call frequency, both for individual salespeople and as a unit. Find out on average how frequently leads are contacted. You need to make sure you’re constantly keeping in touch with your accounts. You should find out what the duration of your sales team’s average sales cycle looks like. Sales cycles should be short and direct. 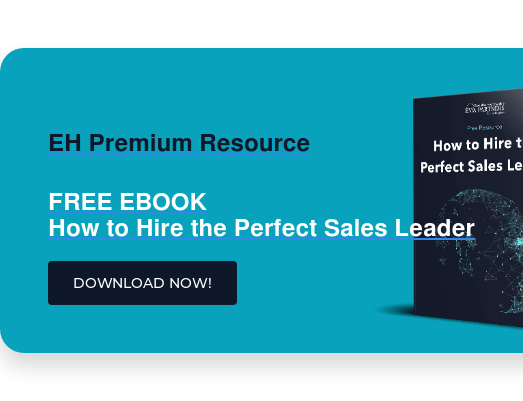 Ideally you’ll want to guide your contacts through your sales process as quickly and effectively as possible, rather than leaving them uncontacted for too long. Forecast your expected business frequently. Forecasting take into account your current and past business metrics to form an idea of what your upcoming business should look like. You want this to be as accurate as possible, so make sure you devote the time to it. Now you’re on your way to constructing an effective sales pipeline. Once your pipeline has been established, you can begin setting in best practices to manage it. From these metrics, consider your pipeline velocity. What’s pipeline velocity? It’s how quickly and effectively you’re moving your contacts through the sales funnel from initial contact to sale. Pipeline velocity is how efficient and fruitful your sales process is. By having a good pipeline velocity, you’re increasing the power of your sales process. 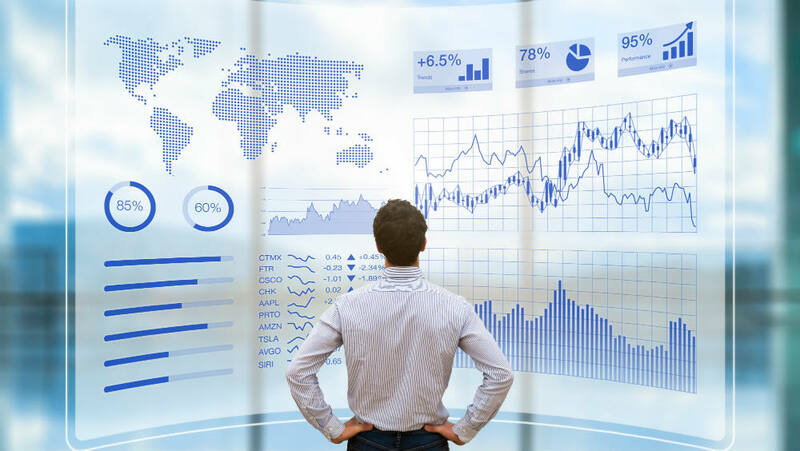 Forecasting is essential in effective sales pipeline management. Your sales manager needs to be able to forecast business and profits in order to increase team productivity. Productivity and morale are deeply aligned, so maintaining high staff morale is vital. Good forecasting can help keep your salespeople’s expectations and targets in line. They should have a strong understanding of influencing factors such as team capability, competitor business, seasonal affects, market status, and historical trends. It’s not enough for just the sales leader to understand sales pipeline management. Your entire sales team should understand how to manage their sales pipeline from the go. This means providing your team with adequate supplementary material. Consider creating helpful manuals and guides for managing your sales pipeline. By providing your team with useful resources, you can help them understand the importance of pipeline management and increase their productivity. This also helps your sales reps stay on the same page. As we’ll cover shortly, team organisation is key to successful pipeline management. Team members need to be on the same page in order to maximise productivity. Standardised pipeline guides and manuals can assist with this. Your sales pipeline should be monitored and updated as frequently as possible. Ideally you want to have a fast moving sales cycle. As a result your accounts status will move fast. This means that your pipeline can quickly become outdated if you don’t review it frequently. Make sure to spend the time to cover everything and make sure your pipeline is completely up to date. This also allows you to ensure your process is working effectively. Monitoring sales cycle timelines and metrics allows you to analyse where the areas for improvement in your pipeline are. If you think of your sales pipeline literally, frequent reviews keep your pipeline clean and allow you to remove ‘clogs’, so that sales can flow. Keeping in contact with your accounts shouldn’t stop after the sale’s been completed. You should of course be contacting customers post-sale in order to strengthen and maintain a healthy pipeline. You should keep your clients and customers engaged post-sale in order to encourage repeat business and customer satisfaction. This is also a chance to collect valuable information that can help with future pipelining. This is why you need to have quality account managers as part of your sales team. Your dedicated account managers need to be able to confidently manage all accounts and make sure that none of your contacts are neglected both pre and post sale. Too many sales teams allow valuable leads to go cold. When you’re juggling various different account it can be all too easy to forget to get back to someone, or forget to chase a lead. Make sure this doesn’t happen. Your team should be aware of their accounts at all times. They should be frequently connecting with leads to make sure they’re engaged. The key to maintaining a healthy sales pipeline is the ability to follow up quickly on opportunities. You want your sales cycle to be as short as possible to maximise account engagement and management. This means no forgetting about leads. No putting off contacting potential clients. Your sales people should be focused on taking your accounts from initial contact to sale as quickly and effectively as possible. Your sales team should be encouraged to capitalise on every lead as soon as possible. Strike while the iron’s hot, as they say. To ensure effective pipeline management, you need to be sure that your sales team is well organised. This means that everyone understands their role, and the accounts they’re responsible for. There should be minimal overlap in the handling of accounts. Your team should be organised enough to know what tasks have been carried out by who. For example, when contacting a lead, your salesperson should know the details of all previous contact with them. This helps avoid to overlap and expand on previous interactions. In addition, there should be no ‘gaps’ in your team’s interactions with accounts (i.e. no accounts forgotten about or neglected). Your sales people should be looking at each of their accounts and asking “Why are they at this point of the sales cycle? What can we do to take them to the next level?”. In addition to being organised, your sales team needs a clear and effective structure in order to be productive. Your sales team structure should be based on the size and capabilities of your team, as well as on your overarching business structure. Make sure to think carefully about what structure is right for your team. In one of our previous insights, we provided a few examples of possible sales team structures. These are just a few of the ways you can structure your team to take advantage of your staff’s strengths and cover for their weaknesses. One of the areas where leads most commonly get ‘stuck’ in a sales pipeline is the proof of product quality. In order to keep sales flowing, to guide your leads along your sales pipeline, they often need adequate demonstration that the product your selling is right for them. If you’re selling a physical product, this can be done through a physical demonstration or face to face meeting with the client. However, if your product is a service this is often best provides through case studies, positive client feedback, and direct explanations / run-throughs of the service. Essentially, your customers are much more likely to want to buy somethings that you can prove works for them. When possible; Show don’t tell! When it comes to sales pipeline management, administrative duties can take up a lot of time. In fact, administration is found to be the activity that sales people devote the most time to. This time could be better spent making sales and enhancing best practices. That’s why it’s important to have a strong CRM system in place and make good use of it. This can save you and your team a lot of admin time. Consider having specific admin staff as part of your sales team structure. These staff can take time-consuming duties off of your sales reps, leaving them with more time to focus on sales. Implementing specialised staff to deal with admin work often also raises the quality of the work itself. In addition, creating templates for reps to follow can be a great way of saving time. For example, your template might encourage all salespeople to do a certain task at a specific time every day. This prevents time-consuming admin work from piling up, and keeps your staff on top of their duties. Behind every good sales pipeline is a strong CRM system. Your Customer Relationship Management (CRM) system should be utilised to its full extent. CRM systems are used to track interactions with accounts, keep your contacts updated, and manage your pipeline. Making clever use of technology such as this can save a lot of time and effort. It can automate a lot of the sales pipelining process for you, and make management so much easier. The sales team of 2018 is becoming more founded in technology. Make the most of it. 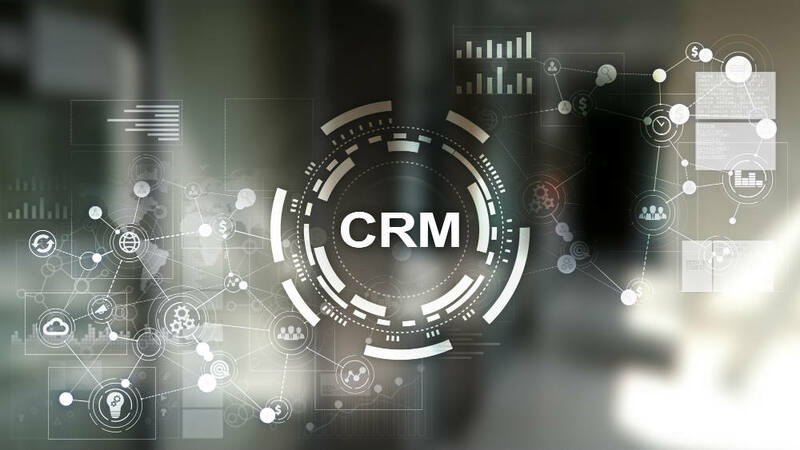 Successful implementation of CRMs can help you achieve better customer experience, meaning increased sales and client retention. In fact, implementing a CRM can increase your sales productivity by up to 44%. It also makes it less likely that you’ll lose bits of information, as everything should be input into the system and managed. So how do you choose a CRM that’s right for you? Well it might not be easy; there are a lot of different pieces of CRM software to choose from. Fortunately, many provide demonstrations that allow you to get a feel for how they work before you make a full purchase. Endeavour to try as many as you can! The decision of which CRM to use has a large effect on your pipeline management. You’ll want to make sure your CRM system is state of the art. Cloud based CRM systems are the way forward for effective business-wide pipeline management. By using cloud-based CRM systems, you can ensure your pipeline is up to date for your whole team. This means that every member of your sales team will be on the same page. Your pipeline doesn’t manage itself. Someone needs to take responsibility for it. Make sure that your sales manager is competent in CRM software and pipeline management. Senior management should be responsible for keeping the sales team well trained. This doesn’t mean that your sales reps shouldn’t also be trained in pipeline management, however. Everyone in your team should be able to understand and manage your pipeline. This is why it’s so important that your team has a strong sales trainer to ensure your reps are equipped with the right skills to succeed. So, what is sales pipeline management good for? Well, by enhancing the management of your pipeline, you can better control and improve your sales process. You can then start to enjoy the increase in productivity in your sales team. Which Finance Roles are Set to See the Biggest Pay Rises in 2018?